November 25, 1940, 9 am. The illegal immigration ship “Patria” is docking in Haifa port. Suddenly, a loud blast rips the side of the ship. Huge amounts of water flood the ship and within minutes the old ocean liner, carrying 2,000 passengers, starts to sink. Chaos and panic all around, old people slip and fall to their death, large waves drown families trapped in low cabins, and dead bodies start to pile up on the shore. 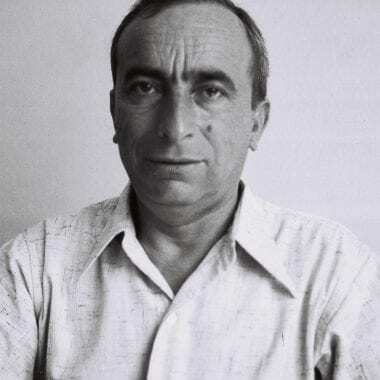 One of the passengers who refused to give up was Yosef Dekel. After all he and his wife went through escaping the Nazi horrors, he decided he would not drown in the port just before reaching safety. In the seconds following the blast he put life belts on himself and his wife, held tight the small bassinet in which their baby daughter lied, and they jumped overboard together and swam slowly to the shore. Yosef held his wife with one hand, as she couldn’t swim, his other hand grasped the baby, but then he started to weaken. The bassinet was filling with water and he saw his baby’s head sinking rapidly and then, God knows how, he put forward full effort, took a breath of air and managed to cry for help. Some survivors on the shore jumped and rescued the three. That one-month baby was Zipporah Levinger, managed to build a life for herself in Israel. She married, had a family and worked as an English teacher in the Bar Ilan school in Natania. But 267 passengers were not as fortunate. They did not enter the promised land like she did, and drowned on the shores of Israel instead. “The Patria Affair” started with the arrival of three passenger ships: The Pacific, The Milos and The Atlantic, loaded with illegal immigrants, unto the Haifa shore. The British implemented the White Paper policy, that is, harsh limitations on the immigration of Jewish refugees into Israel. 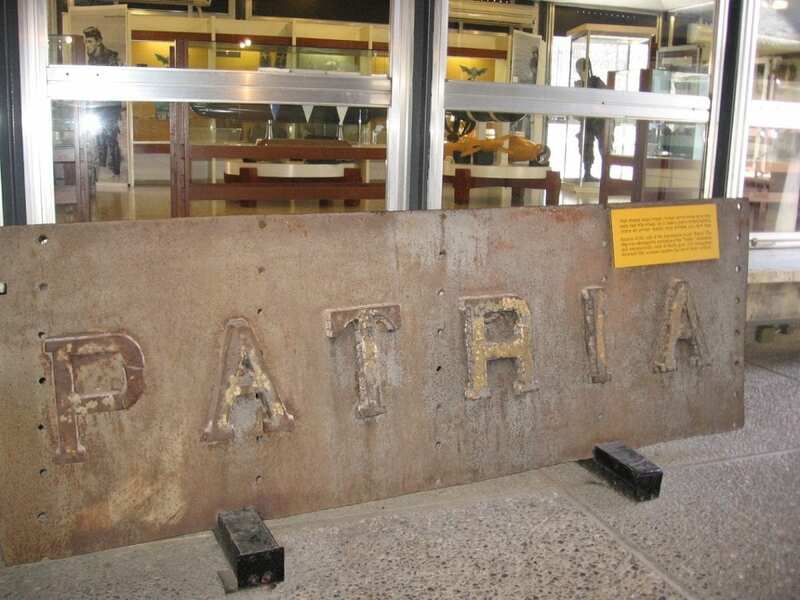 The British gathered all passengers unto one large old ship called “Patria” (homeland in Latin) in order to deport them all to a detention camp in Mauritius in the Indian ocean. Commanders of the Haganah, whose motto was “fight the White Paper like there is no World War, and help the British like there is no White Paper”, wished to prevent the deportation, and their idea was to slightly damage the ship’s side in a small blow, in order to earn some time during the repairs, and thus to cancel the trip to Mauritius. However, amateurism, negligence and perhaps even an inherent subconscious disrespect for the refugees, blinded their eyes. The Haganah commanders acted against experts’ advice and placed the bomb in the rickety side of the old ship, rather than under the machines area, where there would be no passengers. The Patria disaster was largest catastrophe in which Jews caused the death of other Jews. Trauma and despair shook the Jewish Yishuv for weeks after the disaster, as described in Prof. Meir Hazan’s essay, “Ho, my Homeland”. Each day for weeks they kept collecting the dead bodies from the water, more and more as time passed. Isaac Tabenkin testified: we wanted to curse the sea, as if the ship did not explode at once, but went on exploding every day. The most fascinating aspect of the affair was the psychological defense mechanism of the leaders of Mapai after the disaster. Rather than condemning the ill practice and negligence, and putting the perpetrator to trial, they manipulatively maneuvered a twisted, heroic narrative that laid the responsibility off their shoulders. According to that narrative, the refugees scarified themselves for the heroic Zionist cause. 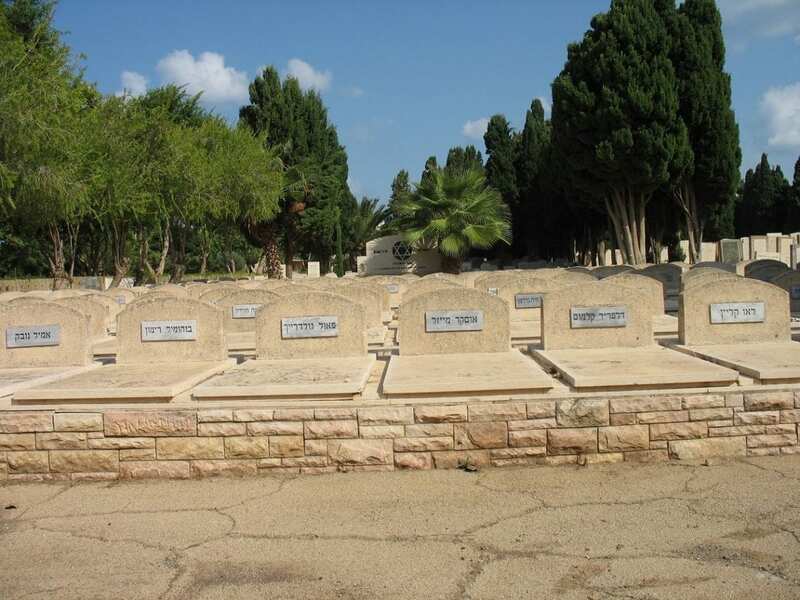 In one case, the victims were cynically compared to the fighters of Tel Hai, as if a small group of pioneers who willingly went to battle in order to defend their homes, could be compared to thousands of refugees who were scarified unknowingly on the altar of a political party. A day after the tragedy, Berl Katznelson, of the ideological leadership of Mapai, said to Shaul Avigur, one of the heads of the Haganah: “keep in your mind that the Patria day is just like the Tel Hai day for us”. He further stated, that the Patria was “the greatest Zionist act of our time”. 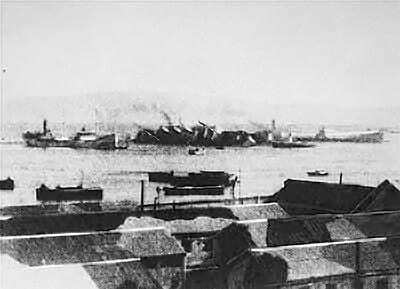 Three weeks after the sinking of the Patria, on December 12, as the bodies were still piling up on the shore in Haifa, the committee of Mapai gathered to discuss whether to add the Patria events to the set of Zionist constitutive myths, i.e. was the story ideologically suitable to the enforcement of the Jewish heroism. It was a one of kind moral eclipse, how they brutally ignored all signs of criminal negligence, of boast, and of Hybris that caused the tragedy. In previous events, Mapai was an expert in setting committees to inquire circumstances, but at that time, after the largest catastrophe in the history of the movement – no committee was set, and not a peep of criticism was allowed. One exception was editor of “HaPoel HaTsair” newspaper, Isaac Lufban, who refused to follow the party’s guidelines, and published his criticism about the “evil hand that sunk the ship”, for which he was literally punished – got slapped in the face in the paper’s offices by Amos Ben Gurion, son of the great leader. What strikes us the most about the whole affair is the contrast between the magnitude of the tragedy, which is the largest in terms of the number of casualties, and its total exclusion from Israeli collective memory. Israeli high school pupils have no idea what was the Patria Affair, this is badge of shame for the Israeli education system, and also shows how effective was the Mapai propaganda machine. Ironically, an inquiry committee was set after the “slap in the face” tragedy. Whether the conclusions were sent to Zipporah Levinger for reviews and comments remains unclear.